Hi, I’m Chris. And I have an anger-based personality. I’m also Irish……and German……and have sleep apnea. This is clearly a cultural powder keg laced with tiredness/exaustion/irritablility, just waiting to explode. Sometimes I just have to smh. I don’t think I’m the extremely irate kind of angry, punch-your-fist-through-the-driver-side-car-window-kinda-angry like Sensai Kreese. I don’t think I have an anger problem. But I do think I need to have a post about it because it’s the basis for my personality. Yeah, that’s grand. In this post I’m going to talk about what I’ve learned about my angerishlishness from the Enneagram. So I’ve used this tool to study my personality. If you’re interested, you can visit the site to take an online quiz that will help you learn more about your personality. You can even subscribe to get daily Enneathoughts sent to your inbox, like the one at the beginning of this post. If you’re interested, I explored my anger in another post where I wrote about the connection between my dad and I. Chapter 7 of Riso’s and Hudson’s book, The Wisdom of the Enneagram is dedicated to my type. 1. Healthy anger – Anger in itself, is not a bad thing. It’s a natural reaction to the things that arise around us that we do not like or want in our lives. 2. Hanging on to anger – When we hang on to anger it manifests itself in increasingly obsessive thinking, emotional constriction, and physical tension. 3. Talking about anger – Talking openly about our anger with others can be a healing process – a positive step in learning to process resentments. 6. 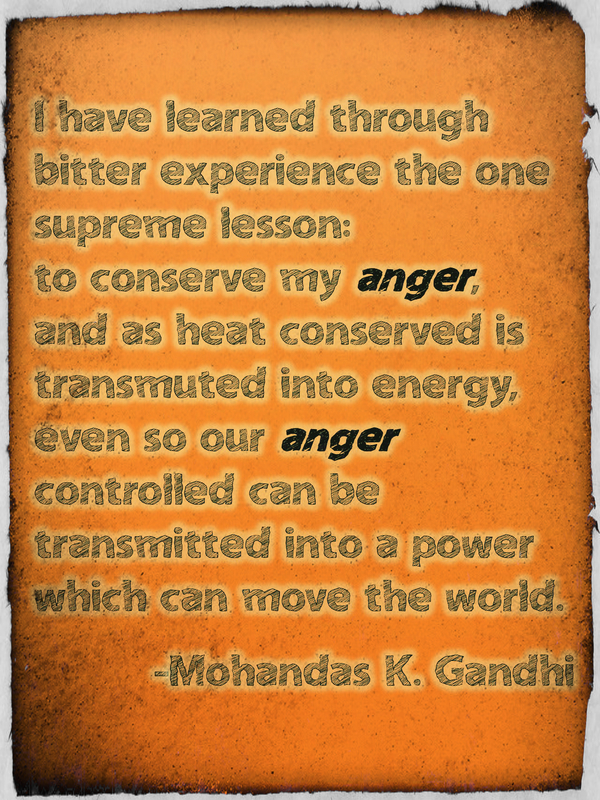 Anger awareness – Ones are not always aware of their anger. 7. The blame game – When we’re angry, we blame – ourselves and others. 8. The anger police – Anger causes us to police ourselves so no one else will; punish ourselves so no one else will. 10. The word on chaos – When things seem unorganized and uncontrolled, we become tense and serious, and focus on what is wrong with things. 11. Self righteousness – Because we are introverts and feel like we have something to teach those around us (many teachers are type Ones) they may see us as pompous and in turn, resist our help. This frustrates us. 12. Over doing it – We become irritated because (even though others are trying their best) we see others’ efforts as insufficient. We feel that we must work overtime to make up for other peoples’ laziness and sloppiness. 13. Boxing ourselves – We beat ourselves up constantly because we are trying to achieve an impossible ideal that our superego sets for us. 14. Criticism – We are highly sensitive to criticism. We criticize ourselves SO much, that it is near impossible when we receive it from someone else. No matter how gentle or passive it is. 15. Anger and our body – We hold a lot of our anger in our bodies. For me, it is in my hands. When I am writing, journaling, or drawing I clench the pen or pencil so tight that my hands shake and everything looks shaky and slovenly. SOURCE: The Wisdom of the Enneagram – The Complete Guide to Psychological and Spiritual Growth for the Nine Personality Types. Riso and Hudson, Bantam Books, 1999. 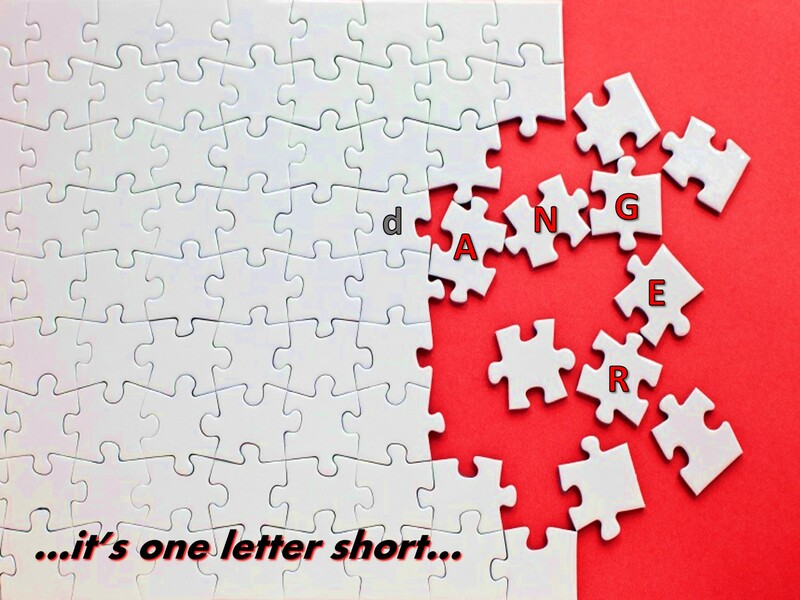 Anger – it’s one letter short of danger. 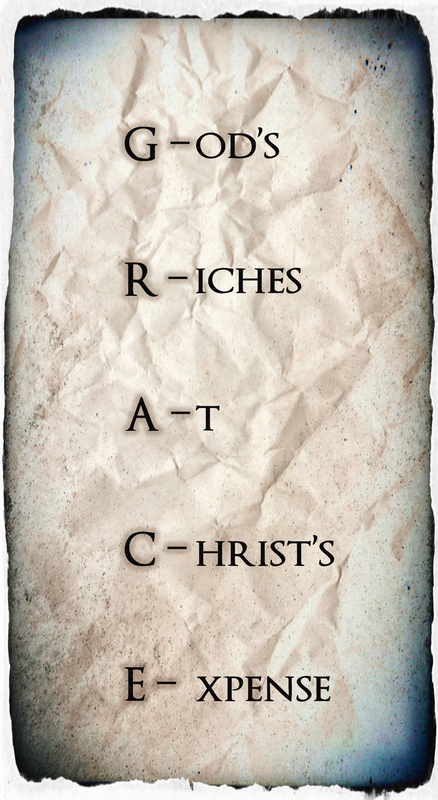 Grace – We need to be able to give ourselves grace. I mention it to folks in their Comments section and in phone calls – it’s a big deal to me. I remind myself to accept it from myself as much as I can. Type Ones are the largest of all self critics. Learning to give myself God’s grace and love has done wonders for me in accepting who I am. It has been a game changer. If we could all take His love for us and, instead of criticizing ourselves, see ourselves through his eyes, there would probably be less anger in this world. We’re not perfect. We’re going to screw up. Grace helps us live through those times. Patience – I have gotten a lot better at this over the years. I think it happens with age. You learn not to sweat the small stuff like you read in that book in middle school. You learn that things aren’t as big as they seem. You live to see that the world ain’t gonna stop turning just because you’re ten minutes late to your doctor’s appointment. And you’ll probably learn that a lot of people will give you grace and extend empathy to you because they’ve been there before. You’d be the first person to be patient with someone else. Learn to be patient with yourself, friend. Relationship – Yes, I used the singular. Does it help to talk out your anger to someone? I think so. Did I used to? Nope. Whether it’s your therapist, your boyfriend, your girlfriend, your pastor, a neighbor, or the person who took the noose off your neck, I believe it helps to have just one solid person that can be your confidant…your sounding board…someone who really knows who you are. You don’t need a lot. You just need one. Focus – I need to redirect and focus my anger appropriately. I’ve calmed down a lot since I’ve gotten out of the Marine Corps – duh! – but it’s still there simmering under the surface. You know – that dude that cuts you off on the interstate, the person going the speed limit in the left lane (applies to U.S.-based readers), the screaming kid in the grocery store. I really don’t know the point that I want to make here. I don’t know where to focus my anger. What does that mean? Put it in a bottle? Lock it in a closet? Aim it at someone? I guess it’s like the Samurais – kill during the day, garden and calligraphy at night. Yeah, I’ll have to get back to you on this one. Walk away – My temper can flare like an angry Arkansas hog going after some tater tots and grits. I need to chill. I need to slow my roll when times is rough and the pressure cooker of life is getting ready to burst. I need to take my foot off the gas instead of speeding up and tailgating, shouting in some ancient dialect that was used in the Exorcist (that was Sumerian for my history buffs). In fact, instead of walking away, I need to walk the other way before I even enter a potential pit of vipers. Exercise – I haven’t done it in a long time. I need to get my lazy donk up and start getting active. Eating – Lately I’ve been eating like a college bachelor. With the sugar crashes and the junk food fixes, this is another area I need to tighten up. Thank you for taking your time to read this post, my friend. How have you lived with anger and how do you deal with it? Would you mind sharing your thoughts in the Comments section? The Enneagram – THE best site for learning about your personality! What advice can you give to others about discovering who they are? I thought I was kinda crazy. I kinda wanted answers. In an earlier post, You. Are. Not. Crazy., I wrote about steps I took to discover who I was. It seemed as if I had lived with feelings of confusion for the greater part of my life and I was tired of it. I was tired of the endless soul searching and the eternal conversations in my head, focused on self discovery. They never seemed to be silent. I just wanted to be. Without all the internal therapy sessions. I didn’t want to work on improving or finding areas that needed to be improved. I just wanted to enjoy life. Wanted to enjoy it without feeling the need that something was off, and that I would find the answer in a bottom shelf self-help book on the top floor of a Barnes and Nobles. Going through a divorce tended to exacerbate this feeling. The best therapist I’ve had said something very wise and along the lines of, “You don’t know who you are. You’ve invested so much of yourself and your time into your marriage/dating/partner that you don’t know who you are.” That really made sense to me. I really wanted to find out who I was. So what did I do to discover who Chris was? So where did this journey start? To this end, I decided to start looking deeply at my personality. I looked at my zodiac sign for any clues to things that may have made sense. I installed several horoscope apps on my phone and regularly visited one online that I was fond of. Now being a man of Faith, I felt a little guilty for how I went about this. Blame it my strict fire-and-brimstone Baptist upbringing that would have frowned on anything faintly associated with the cosmic. Heresy. At first I sincerely thought that I would have to serve some time “down south” amidst the fiery depths of Lucifer’s playground. But I took all the information with a grain of salt. It was ancillary. Maybe my birthdate coincided with who I was? Who knows. Every little bit of insight helped me. I was desperate. 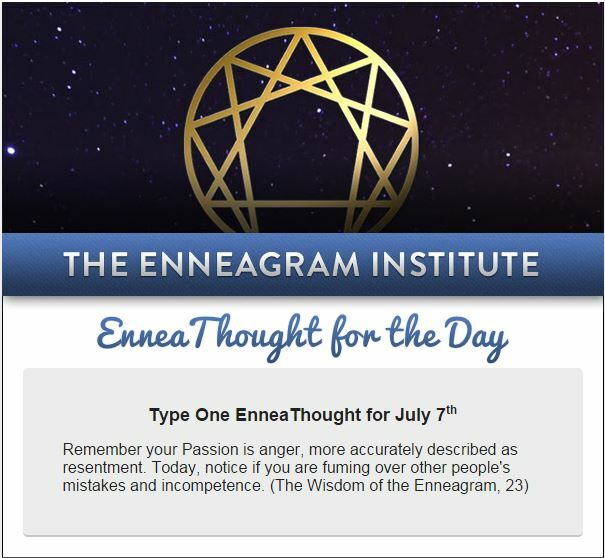 At one counseling session, the therapist I mentioned earlier asked me if I had ever heard of the enneagram (http://www.enneagraminstitute.com/). Never hearing of it, she prodded further and got me to take a quick online quiz at her desk. This was one of the best moves I’ve made towards self discovery. The test results indicated that I was a Type 1 – Reformer. This made no sense to me so I decided to delve into the subject further. Over the next few years I learned that who I was coincided pretty closely to the Type 1 on the enneagram. All my strengths and weaknesses were characteristic of my type. This took a huge load off. So why do I like the Enneagram? 1. It makes sense. The name of the types might not make sense in themselves. But the descriptions certainly did. The enneagram really validated the things I was feeling. It took away (or at least minimized) the guilt of the negative and replaced it with a sense of normalcy. 2. Easy to understand. Reading about the different types and their characteristics is very easy reading. the diagrams also help with understanding the model. 3. Practicality. You can use this in your life right now! There are tons of free resources and you can get an “enneathought” mailed to your inbox every day. What resources can you suggest to others about self discovery?